Little dragons are firing an addiction within many Penn Manor students. According to dragonvale.wikia.com, DragonVale, the new iPod Touch, iPhone, and iPad sensation, is a simulation video game created by Backflip Studios for the iOS platform. While playing DragonVale, players have the chance to use their imagination and create a magical theme park with similarities of a zoo. The objective of the game is to get as many different types and levels of dragons in your park so more visitors will come and spend their money, according to dragonvale.wikia.com. The game may seem simple, but when you first begin playing it, it’s a little confusing. “I enjoy playing DragonVale because it takes time and effort to get far [moving to a different level], so you’re working toward something,” said Penn Manor student, Alex Lombardo. In your theme park, you have the opportunity to create different types of dragons. 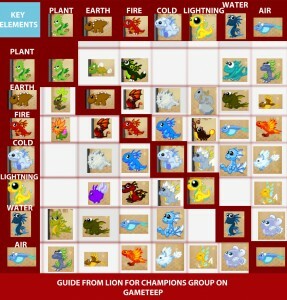 For example, in order to create a Tree/Moss dragon, you must mix earth and plant. To create a Poison/Flower dragon, you must mix fire and plant. But the most powerful type of dragon is a Rainbow dragon. According to Penn Manor students who play DragonVale, a Rainbow dragon is a mixture of different types of dragons, and you cannot tell when one will be made. Although DragonVale was released in September of 2011, it has just begun to gain popularity. “When I first heard about DragonVale I thought it sounded like a stupid game, but then more of my friends started playing it so I decided to try it. I actually like the game a lot, and now I play it for a good amount of time during the day,” said Lombardo. “I’ve been hearing a lot about DragonVale, and I was bored at home so I decided to download it. Now it’s hard for me to stop playing it,” said Greta Lindsley, student at Penn Manor. With the amount of attention DragonVale is receiving, it seems its fire won’t burn out anytime soon. Meaghan Shlegameilch, all I have to say to you is, 43 visitors fail.